In order for an OS to function properly, it needs to be upgraded at regular intervals. However, with time and upgrades, your hard disk also requires an upgrade, when you don’t have empty space. No matter how the upgrade of HDD or Operating system of your Windows computer helps it in functionality but it also poses a risk of losing data and your files. That’s when you need a disk cloning software for your Windows 10, 8, 7 and older versions. What is disk cloning software and why do we need it? Disk Cloning is a method to create an uncompressed duplicate of your system’s hard drive on some other drive. The software should be used as a precautionary measure so that you don’t suffer data loss or system settings loss. With the cloning software, you can easily swap current hard drive to SSD, replace a failing drive, and more. As you clone your drive, it saves your system data, software installed and more. You can also use hard drive cloning software for regular cloning. People often misinterpret Disk imaging software for disk cloning software. These are much likely related to each other, but both are used for different purposes. Disk Cloning & Disk Imaging are two methods which complete the same task. Their objective is to copy hard drive contents. Disk Imaging takes a backup of your hard drive in a compressed file. The use of both the tools is similar but the result is somewhat different. 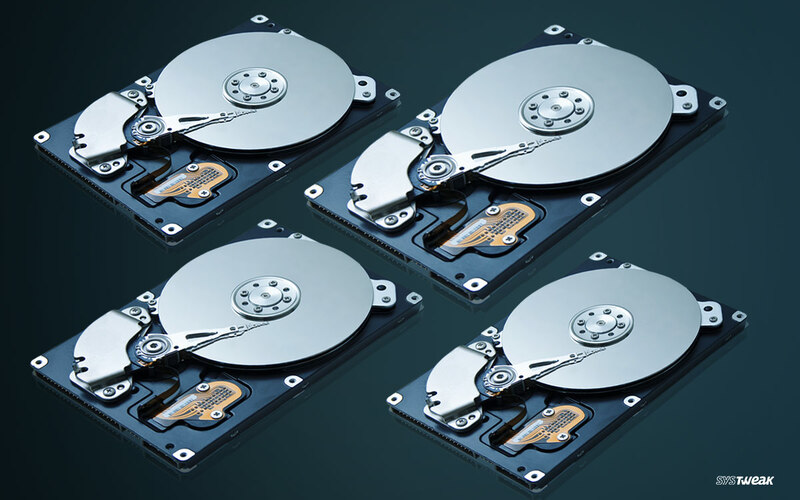 Disk Cloning produces an exact replica of the hard drive but Disk Imaging creates an archive of a hard drive. You can use Disk Imaging copy of hard drive to create the one-to-one copy. As we know how important your data is to you, we have listed some of the best disk cloning software for your Windows 10, 8, 7 and older versions. Not just this, but most of them also double as great disk imaging software. So without further ado, let’s have a look! It restores your data quickly and easily in case of hardware failures, hardware upgrade, viruses and more. The software automatically backs up to keep your data, hard disk, partition and your OS protected. It gives you the option to either take a complete backup of your computer or take backup of specific file or folder. It supports to backup files or folder on cloud storage such as Dropbox, Google Drive, and OneDrive. It effectively backs up, migrates data irrespective of location and environment. You can also create virtual clones of a PC quickly. Copy or Restore data to an HDD with a different sector size easily. It enables you to migrate Windows to new storage devices, take backup & reinstate your data and system in an organized manner. This hard disk clone software is capable of cloning your hard disk to a larger driver. Also, you can migrate your computer data to a new HDD. With its inbuilt feature, you can restore all types of backup files created by the software. It also acts as disk partitioning tool which lets you do standard partitioning functions to organize your disk. It enables you to take a full image or mirror image backups of your system and data. This means you can get an exact replica of system disk or a specific partition. You can clone all your data, be it OS, files, programs settings and more to larger or faster disk. What makes it best, is that you can clone an active Windows system to either a local drive or external storage. Convert full image backups into a virtual hard disk format and test different system settings and apps or run your system on a virtual machine. It comes with Ransomware protection, with artificial intelligence & machine learning-based technology, it effectively detects and stops ransomware. This disk cloning software solves almost all concerns related to data, whether it is managing data backups, backing up your system or individual files or folder, monitors potential threats. Moreover, your data stays secure with military-grade AES-256 encryption, no matter where is it! It creates an accurate image of your HDD, or partitions on the disk. So, if you lose your files or your system fails, you can restore the data with the image. Create a backup of whole partitions or special files, images and more in the form of a single compressed mountable archive file. It supports MBR and GPT disk. You can recover partitions or entire disk images with a few clicks. The software clones the disk fast with the help of Rapid Delta Cloning. This hard drive cloning software mount images in Windows Explorer for easy item-level recovery. With Rapid Delta Restore you can recover your images in a few seconds. Moreover, it safeguards your backup files from ransomware with its Macrium Image Guardian. The software comes with extensive backup options, you can back up with either image level backup or file level backup. The former lets you backup specific files and folders. On the other hand, the latter option enables you to backup your complete hard drive. It protects your data with military-grade, 256-bit AES encryption, so your files are always safe. You can schedule backups to automatically backup files to backup bit-level or incremental changes. You can manage local and cloud backup on one interface. It totally works with free cloud storage such as OneDrive and Dropbox. This cloning software takes a backup all your data from an operating system to email setting preferences and more. In the event of any disaster, you can get your data back within no time due to the fast restore process. It enables to transfer systems within a few seconds, uses physical & virtual devices as per preferences. The software is also a free cloning software which works in protected mode. In this mode, you can preview the changes, and apply the changes once you are sure. You can also undo the changes by going one step backward. It comes with basic partitioning which helps you to keep your system organized. In worst cases, if your system is affected by malware or other infections, you can recover your data and work on your system, with all the apps functioning with little or no data loss. The hard drive cloning software can also resize the partitions with ease to maximize available storage space. You can use the software for destroying your data forever, in case you are scrapping your computer. You can relocate your Windows while you are working. You can get the image file anywhere such as on local disk, samba server, ssh server, NFS server, or WebDAV server. It supports both GPT and MBR partition formats of a hard drive, Clonezilla live can be booted on a BIOS or uEFI machine as well. The software supports Unattended mode. You can work on all the steps via options and commands. With boot parameters, you can customize disk cloning and imaging. You can restore a single image to more than one local device. The image created can be encrypted for protection with ecryptfs, a POSIX-compliant enterprise cryptographic stacked filesystem. This HDD clone tool uses AES-256 encryption whether you store, access and transfer your data. Clonezilla consisting of some programs can save and restore partitions as well as whole disk. You can create backup and restore images to same or different drives. You can schedule automatic backups, so you always have current data backed up. It is a simple and reliable software for quickly creating backup and images for partitions and drives. While creating Image, the software uses Microsoft’s Volume Shadow Services (VSS) so that you can create safe “hot images” even from the drive still in use. The images are stored in XML files, so you can process them with 3rd party tools as well. DriveImage XML is available in Private Edition and Commercial Edition. The commercial edition is used by organization running businesses and they can also install the software on a customer’s computer. The support is, however, only available for Commercial Edition. You can resize the partition to resolve low disk space problem. For that, you can use “Move/Resize Partition” & “Extend Partition” and organize the disk space with ease. You can copy a disk partition, whether you want to back up your data or copy disk partition if your computer is troubled. You can migrate OS to new SSD/HDD or take a backup successfully of your OS to restore the system. With MiniTool Partition Wizard, you can easily perform functions such as create, format, edit, delete, split and more on your partitions. It also converts a non-system disk from GPT to MBR and vice versa without any data loss to support bigger drive or full OS. It can emulate up to 32 HD, DT & SCSI drives simultaneously along with 4 IDE devices. You can append virtual drives to physical drives and change the settings with the emulation process. You can convert, compress & protect your image files by keeping a password. You can also create raw disk image file from USB tool content and burn Raspberry Pi operating system to SD card. The disc imaging tool keeps you updated about the gaming industry via media info panel. The software has a classic interface and enables you to access DAEMON Tools Pro features through Windows Explorer. The disk images created, can be used by backups, PC upgrades, also disk duplication purposes. You can use a backup image to recover your computer system in case of system failure and also can restore important files within an image. The software enables you to mount images to virtual drives. It encrypts image with (AES-128, AES-192, AES-256) to make sure that your data is secure. The hard drive duplicator tool can create & restore the disk image. You can schedule backups to make sure you have a copy of your data in case your system fails. The app is available for free, Standard and Pro version. It is used to clone HDD to SDD, SDD to SDD, HDD to HDD, if you want to upgrade your disk or migrate your data. It is a data protection tool which also works as a disaster recovery solution for your computers. There are four types of backups such as Automatic, incremental, full and differential backups to make your backup tasks easy. It can create a WinPE or Linux bootable drive for unbootable computers. The disk duplicator software is a tool which syncs files and folders in real time from source to target without any delay. It has a feature to automatically delete backup images from older date to save back data space. You can create a backup, restore files and carry out clone operations either from the command prompt or by creating batch scripts. Backup and restore your files or the entire system, so if you suffer data loss, you can restore your valuable data with a few clicks. The app supports SSD drives, and also the UEFI system. You can opt for a regular backup so that you never lose your data even if your system is hacked or computer is stolen. The software saves all the personal files as well as HDD information and individual settings. The hard disk clone software comes with additional system recovery tools with O&O Disk Image With this you can quickly restore all your important data. You can save data on an external hard disk as well. The software comes with machine-independent restoration, so this means that your old backup file will be transferred 1:1 on to the machine. You can backup and restore files or partitions on a local or public network. You can also backup and restore BIOS data. You can burn a bootable DVD/CD or you can integrate within a RIS/PXE environment. You can make partitions and format your disk before starting an installation process on Windows. It gives you a possibility to Blank local administrator password. Ping, a free cloning tool which works well and has a simple and easy to use interface. You need to get Ping and then you will have the best available Linux toolbox for rescuing a system. Disk Imaging files can be saved in various locations for example: detachable media like CD-R(W)/DVD, Jazz disks or Iomega Zip. The software restores the disk images to the desired location, be it the on original disks or other partitions within a few seconds. It can reinstate your Windows quickly no matter your system has gone through virus attack, OS crash, hardware failure. R-Drive Image is simple interface software which can easily work on image /copy/restore partitions clasped by the OS. It can compress image files to save storage space. It gives you an option to take a backup of the entire system or specific file or folder. It also helps in copying the entire disk to another. Getting a disk imaging software or disk cloning software for your computer is mandatory if you want to clone or make a disk image. Now you can restore, copy, clone or create partitions on your hard disk and restore your data on any of the computer or HDD anytime you need. So, these are some of the best Disk Cloning software available on Windows 10, 8, 7 and older versions. Try them and let us know what worked for you in the comments below. Newsletter: Prez Needs Better Security & Chinese Twitter Has More Users!